Many people get intestinal parasites at some point. And the culprits are either single-cell organisms known as protozoa, or worms and larvae generally known as helminths. Protozoa can multiply in the human body while helminths cannot. While intestinal parasites lead to poor health, there are natural remedies that can help you regain your health. For thousands of years, black walnuts have been used as parasites control properties in various parts of the world. Black walnut is used as a very effective laxative. It has also been used to treat other intestinal problems, ulcers, open wounds, scurvy and snake bites. Add the recommended quantity of black walnut tincture to ½ cup of water and sip the mixture on an empty stomach. You can sweeten or flavor to make the tincture easier on your taste buds. When you take the maximum dose, you can get rid of any remaining parasites including those in the bowel. If you feel slightly dazed from the alcohol in the tincture, remain seated until you are more comfortable. To evaporate some of the alcohol, put the tincture into lukewarm (not hot) water. You can also reduce the toxicity of the alcohol by taking niacinamide. If you experience nausea, rest for a while or take a walk outdoors to get some fresh air. 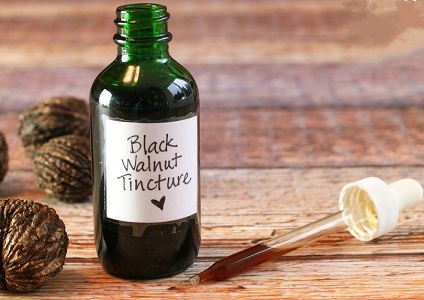 Long-term use (one year)–take 2 teaspoons of black walnut tincture once a week to rid your body of any parasites that you may get from your family, pets or friends. Family members and friends could be harboring parasites in their gut without showing symptoms. The parasites can be transmitted and they can find their way to some organs where they multiply. For this reason, family and friends should also take 2 teaspoons of the black walnut tincture once every two weeks to prevent parasite infection. There is no scientific evidence to prove that black walnut safely kills intestinal parasites. If you are pregnant, don't take the black walnut because when taken in high doses, it can have strong laxative effects. Nursing mothers should also avoid black walnut because its active ingredients can be transmitted to the baby through breast milk. You should also avoid black walnut products if you have tree nut allergy. While few scientific studies have been carried out on the efficacy of black walnut, parasites can be controlled by various herbs and nutritional supplements. Mebendazole is a first-line treatment for roundworms, threadworms, hookworms and whipworms. It is safe to use for adults and children older than two. The World Health Organization (WHO) recommends 100 mg taken twice a day for three days. Diethylcarbamazine is used to treat a smaller range of intestinal worms including lymphatic filariasis, larvamigrans, loiasis and onchocerciasis. According to WHO, diethylcarbamazine is safe for people of all ages at dosages of between 1 mg and 6 mg per day for one week. Ivermectin can treat onchocerciasis as well as infections of roundworms, pinworms and threadworms. WHO recommends a single dose of 150 mcg per kilogram of body weight. Ivermectin can be used on adults and children of all ages. Praziquantel is used in the treatment of schistosome infection. It is also an effective treatment for fluke worm and tapeworm infections. Praziquantel is safe for adults and children of all ages. WHO recommends a dosage of 40 mg per kilogram of body weight, administered as two doses at 4-6 hours apart. Metronidazole is used in the treatment of infections by microscopic single cell parasites, including trichomonas vaginalis and giardia. Other Medications: Besides black walnut, parasites can be treated by other herbal remedies, conventional medications, and prednisone hormone. The hormone treats severe infections of trichinosis and toxocariasis. Iron, pain killers, anti-inflammatories, antihistamines and antibiotics may also be used to manage secondary conditions of the infection. 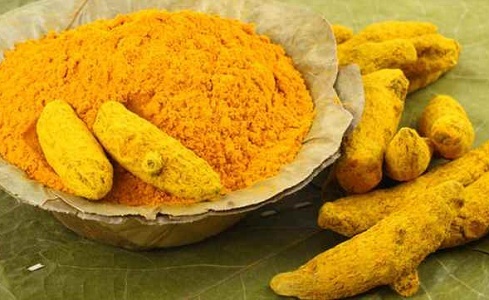 Several studies indicate that berberine, a compound that is present in several herbs, eliminates intestinal parasites. One study conducted in Iran in 2014 demonstrated that berberine which were extracted from barberry could protect against infection by tapeworms. Barberine is present in barberry, coptis and goldenseal. In 2007, the Journal of Medicinal Food published a study, involving 60 children infected with intestinal parasites. A portion of the children were given a combination of papaya seeds and honey, while another received honey alone. 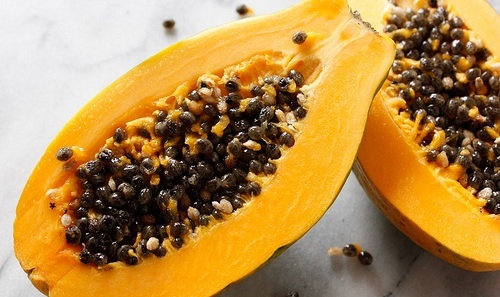 Most of those who received the papaya seeds were cleared of intestinal parasites in their stools within seven days. 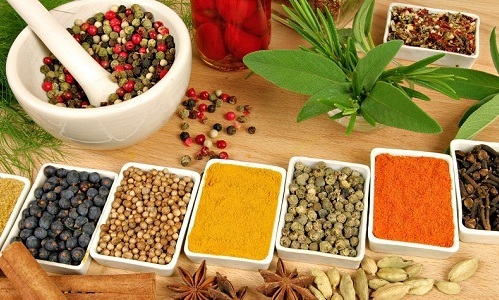 Studies on ayurvedic preparations show that some formulas such as pippali rasayana help in the treatment of infection caused by intestinal parasites. One study reported in the Alternative Medicine Review indicated that there was evidence that pippali rasayana was effective in treating giardia infection. One study published in Parasitology Research in 2010 indicates that wormwood can treat infection of intestinal parasites. 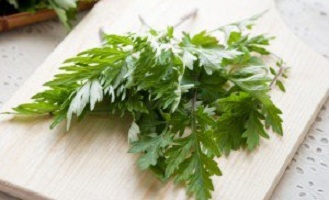 Wormwood contains sesquiterpene lactones, the active ingredient believed to weaken parasitic membranes. Diatomaceous earth, a natural pesticide that works for both humans and pets, is a potent anti-parasitic remedy. It is believed to work by dehydrating insects, worms and other parasites. 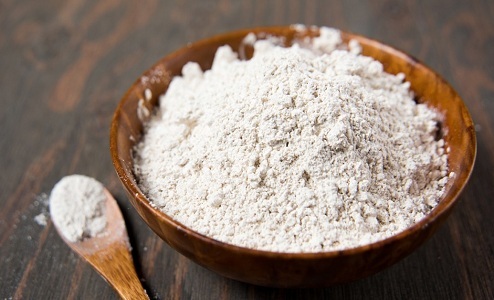 An adult can take one tablespoon of diatomaceous earth daily for seven days to get rid of all intestinal parasites. For children, their heights can indicate the amount of diatomaceous earth to administer: one teaspoon for a 2-feet tall child, and two teaspoons for a 4-feet tall child, etc. Besides these herbal methods, alternative medicine practitioners sometimes recommend dietary changes to treat intestinal parasites. Add more garlic to your meals. Take probiotic foods containing beneficial bacteria. Include or increase your intake of pineapple which is high bromelain. Increase your intake of foods rich in beta-carotene which helps increase resistance from helminths penetration, such as sweet potatoes, carrots, and squash. Avoid coffee, alcohol, refined sugar and refined grains. Some alternative medicine practitioners also recommend intestinal cleansing using high fiber diet accompanied by supplements such as flax seeds, beetroot and psyllium. There is, however, no scientific evidence that dietary changes or intestinal cleansing help in treating intestinal parasites. What Are Food Poisoning Treatments? How Does It Feel Like When You Have Hernia? Why Can't You Stop Having Burp? What to Do If Your Stomach Acid Is Low?